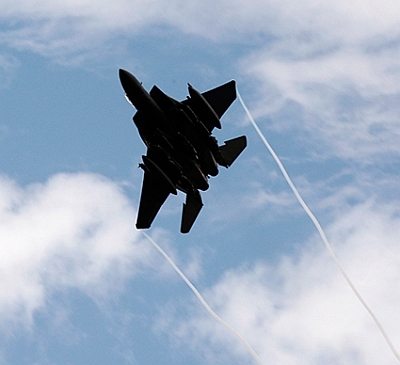 In a major crackdown to eliminate the terrorists' sanctuaries, Afghanistan has carried out three air strikes within a week in Kunar province, bordering Pakistan, inflicting heavy casualties on Lashkar-e-Tayiba terror group. At least 19 LeT terrorists were killed and eight others wounded in Dangam district of eastern Kunar province in air strikes on Saturday, Afghan Ministry of Interior said. In a brief statement, the ministry said the LeT terrorists were killed in a "major operation" underway in Dangam district to clear the area from the terrorist groups. Kunar police chief Maj Gen Juma Gul confirmed the attack and the LeT casualties in Dangam district, Pajhwok Afghan news reported. Pajhwok said the airstrike was the third in a week carried out by NATO forces in Kunar. Taliban's spokesman Zabihullah Mujahid also confirmed the air strikes. However, he denied the attack resulted in any casualties to the group affiliates. The LeT, headquartered in Pakistan, is one of the largest and most proficient of the Kashmir-focused terrorist groups and it is accused of coordinating and carrying out attack on Indian consulate in Herat province of Afghanistan in 2014. Local media reports that the LeT was attempting to set up bases in eastern Afghanistan in 2014. Also, Ministry of Interior on Monday said that in the past 24 hours, 31 Counter-Terrorism joint operations were carried out to clear some of the areas from terrorists and enemies of peace and stability of Afghanistan. The operations were conducted in Kabul, Nangarhar, Parwan, Paktiya, Kandahar, Zabul, Oruzgan, Helmand, Farah, Badghis, Sar-e-Pul, Faryab, Baghlan and Kunduz provinces to eliminate the terrorists' sanctuaries and is a good step toward improving the security and stability. Last month, Afghanistan's Vice President Sarwar Danesh had accused Pakistan of waging an "undeclared war" on its people by plotting "merciless" terror attacks and training and financing groups like the Taliban and Haqqani network. Speaking at the UN General Assembly, Danesh had said the "Taliban and Haqqani network are trained, equipped and financed" in Pakistan. He had said more than 10 Pakistan-based terrorist groups were creating obstacles for state-building efforts and preventing the establishment of peace and stability in Afghanistan.